The decision not to stage Senior Challenge Cup annual football casino reviews tournament was arrived at yesterday at Cecafa Annual General Assembly held in Nairobi. Somali Football Federation and the United Nations Office in Somalia (UNSOM) have jointly organized a football for peace event as an observation for the international day of peace. The match was played at stadium Banadir in Mogadishu on Sunday 7th of September 2014 after the UN special representative for Somalia Nicholas Kay requested the Somali FA to organize the match this weekend as an early celebration for the International event which is annually observed throughout the world to strengthen the ideals of peace in the world. 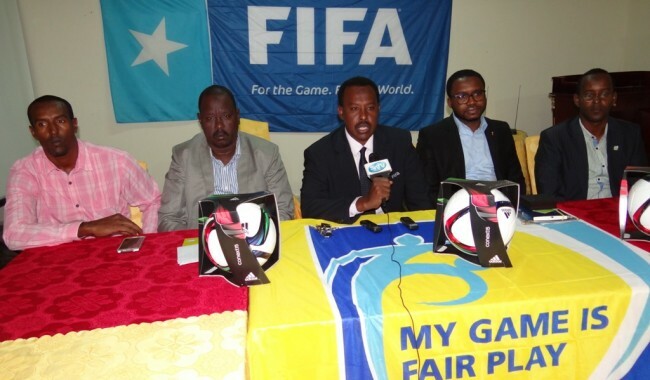 Before the UN representative was invited to kick the first ball of the match, the Somali Football federation President Abdiqani Said Arab and the UN representative Nicholas Kay talked to the media to high light the importance of the peace day program. “It is a great honour for the Somali Football Federation to welcome the top UN official to Stadium Banadir for the first time and his arrival here is a clear indication that the UN was interested in football by preferring to mark the world peace celebration with football match with the help from Somali FA” President Abdiqani Said Arab noted. 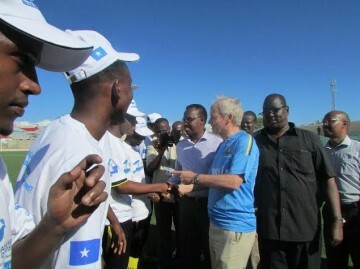 “Football is the people’s game as more than 90% of Somalis are football-loving people and that is why the UN special representative Mr. Nicholas Kay arrived here today and even dressed in our national football team shirt and we recognize him as member of the football family” SFF president emphasized. 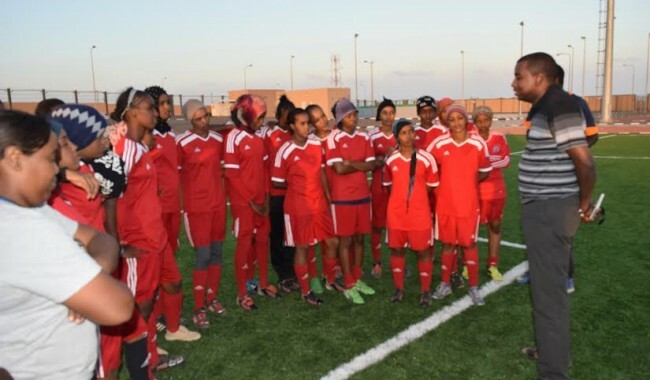 As football is capable of attracting hundreds of thousands of people at one time and has been playing a key role in peace promotion and youth integration in the country for more than two decades, the Somali Football Federation President Abdiqani Said Arab sent a strong message to the United Nations requesting the world body to pay much attention to football which has so far been used as an element of peace building and yielded positive results. “This world peace event is the start for the cooperation between the United Nations and Somali Football Federation and we will continue working on peace together” President Abdiqani Said Arab said before handing over the microphone to the top UN official in Somalia. Having a very cheerful atmosphere, the UN representative Nicholas Kay started his speech with greetings in Somali language saying ‘Galab wanaagsan’ which means ‘good afternoon’ in English. “It is very great pleasure for me to be here today. This is one of my happiest and best days in Somalia to come and see young people playing football in a soccer facility here in Mogadishu. For me this is something very special and thank you for inviting me” the UN official explained. “I think there are two reasons for holding today’s match. The first reason is that this is the month of peace in the world and the 21st of September is the international peace day and today the trophy they are playing for is the peace trophy. Somalia is one country which is now beginning to enjoy peace and it needs more and more peace” Mr. Kay said adding that the second reason was to share the pleasure and the world peace observation with Somali youth. “We are now four years away from 2018 FIFA world cup and my real wish is that in 2018 we will see some of these players playing in the world cup and we will be cheering you all the way to Russia” he added. “Thank you very much for inviting me and next time we will come here with a team from the United Nations to have a friendly match against Somali Football federation officials” the UN special representative for Somalia concluded his speech at the world peace event in Mogadishu on Sunday. However, Banadir sports club defeated Elman FC in penalties after the 90-minute period it takes to play a football match ended in 2-2 draw.